The Shooter Performance Tracker™ is WSHSCTL’s exclusive online performance tracking tool provided to all of the participants of the League. Find out more! Join Wisconsin’s fastest-growing high school sport! Contact your coach to register! Registration ends May 15th. Click here for more information about the 2015 State Tournament. 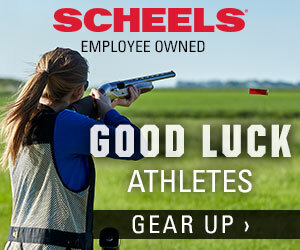 Click here to view the 2015 Wisconsin State High School Clay Target League conferences. More than 25 teams will participate in the 2015 Spring League! Click here to see the new Participating High Schools map! The deadline to join the Spring League is March 1 st! 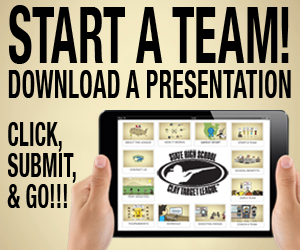 Click here for more information on how to start a team. Welcome to the inaugural Wisconsin State High School Clay Target League’s 2014 State Tournament. Everyone is invited to participate in individual and team competition. Click here for more details! Comparing other youth shooting programs? No problem. The Wisconsin State High School Clay Target League has provided a comprehensive list of features and products unique to our League. Simply compare the below items with other your shooting sports programs to see how they compare! The Wisconsin State High School Clay Target League’s Policies and Procedures are designed and published to define all major decisions, actions and activities for all participants of the League including students athletes, parents, coaches, schools and shooting ranges. Click here to read and download the Policies & Procedures. Some coaches of the Minnesota State High School Clay Target League talk about their teams, student athletes, schools and the future of the League and shooting sports.